The airport of Gran Canaria - Las Palmas, also known as the Gando Airport, is the largest in passenger and cargo traffic between the airports of the Canary Islands, it is also the sixth in the Spanish state and received more than 13 million passengers the year 2017. 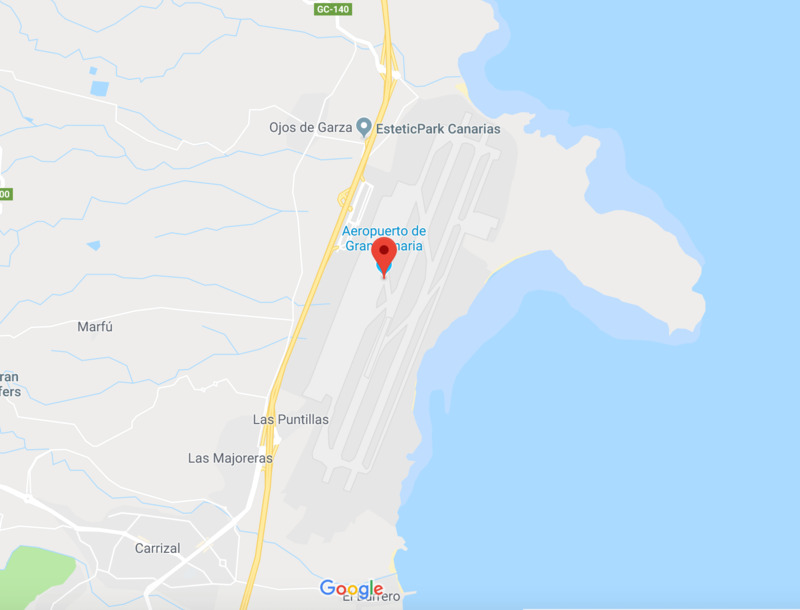 The airport of Gran Canaria is located in Bahía de Gando, only 25 kilometers from one of the most important tourist centers of the island of Gran Canaria and 19 km. from the center of the capital, Las Palmas de Gran Canaria. Gran Canaria is an island located in the Atlantic Ocean, belonging to the Autonomous Community of the Canary Islands in Spain. Together with the islands of Lanzarote and Fuerteventura, it forms the province of Las Palmas, also integrated by the islets of La Graciosa, Alegranza, Montaña Clara, Roque del Este, Roque del Oeste and Islote de Lobos. Gran Canaria with an area of 1560.1 km² and an altitude of 1956 meters with the Morro de la Agujereada, is the third island of the archipelago in area and altitude. 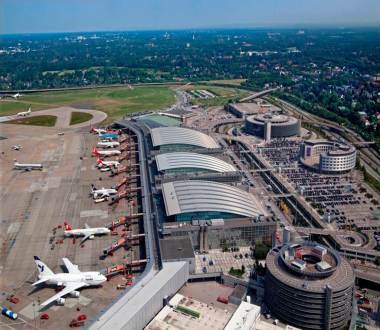 Considered one of the safest airports in the world, it operates 24 hours a day and has two parallel tracks with a length of 3,100 meters and a width of 45 meters each. It is used by large companies such as Air Europa, EasyJet, and Iberia, among others, and traffic between the islands to Tenerife Airport or to Lanzarote Airport managed by Binter Canarias and Naysa. The Gran Canaria Airport currently has only one terminal, which is in turn divided into three areas: Area A (international Schengen flights), Area B (domestic flights to the Spanish Peninsula and non-Schengen flights), and the Area C (inter-island flights between the Canary Islands). 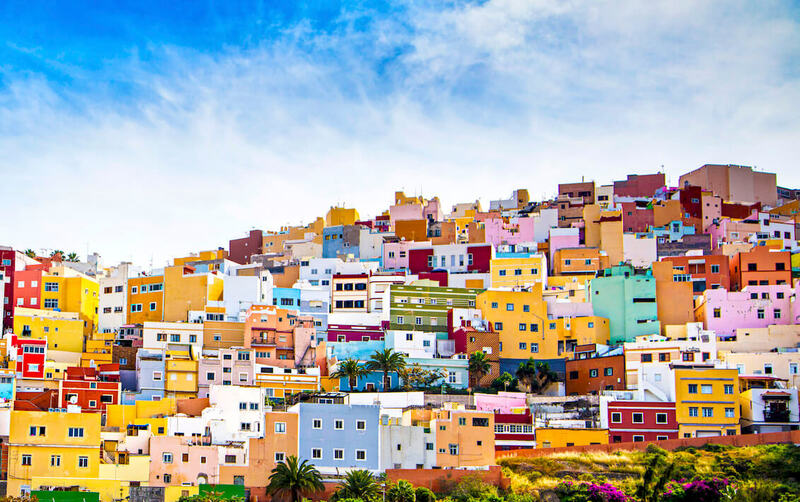 The airport of Gran Canaria is a suitable connection to travel to West Africa (including Western Sahara, Morocco, Senegal, Mauritania, Cape Verde), and to the Atlantic islands of the Azores and Madeira. The airport operates with 60 airlines and it is the operational base for NAYSA, Binter Canarias, Vueling Airlines Canaryfly, and Norwegian Air Shuttle. Other airlines operate charter flights to Cape Verde and The Gambia, but only during the winter season. In 2016, the Gran Canaria airport received 12 093 645 passengers, 6 ranking 6th nationally and making it the first airport in the Canary Islands. In fact, in 2012 AENA declared that only 9 Spanish airports obtained benefits in 2011, one of them is Gran Canaria. The population of the island in 2017 was 843,158 inhabitants, being the second most populated island of the Canary Islands, although the one with the highest population density. The capital of the island, Las Palmas de Gran Canaria, is considered to be the most populated by the Canary Islands with 383 343 inhabitants, is also the capital of the eastern province (Las Palmas) and the Autonomous Community of the Canary Islands, together with Santa Cruz de Tenerife. The city, founded in 1478, was considered the only (de facto) capital of the Canary Islands until the seventeenth century. The island is one of the most important tourist destinations in Spain, with some 3.3 million tourists in 2011. In 2012, the World Tourism Day was held for the first time in Spain at the tourist resort of Maspalomas. Carnival Las Palmas de Gran Canaria, declared Festival of Tourist Interest of the Canary Islands, to be one of the most important events on the island and it enjoys an important national and international projection. Since 2005, an extensive sector of the island and its border adjacent, where its terrestrial part covers 46% (69 000 hectares) of the insular territory in its western half was declared a Biosphere Reserve by UNESCO. Furthermore, Gran Canaria has an important cultural, artistic, and historical heritage, among which the Casa de Colón Museum, the most visited museum in the Canary Islands, that commemorates the passage of the Christopher Columbus on the island before his first voyage in the Discovery of America, or the Cathedral of the Canary Islands considered the most important monument of Canarian religious architecture. The main festival of the island is on September 8 in honor of the Virgen del Pino in Teror, patron of the Diocese of the Canary Islands, which includes the Province of Las Palmas. Another act to highlight in the Canarian archipelago is the traditional Romería-Ofrenda that is celebrated on September 7 with the participation of all the municipalities of the island and with a representation of each of the Canary Islands. The Airport in Gran Canaria has located 18 km from the center of the capital and about 25 km from one of the most important tourist centers of the island of Gran Canaria in Spain. Its main address is Autopista GC-1, s/n, 35230, Las Palmas, Spain.